This frame is designed to use bolts to attach the critical parts together. Using bolts makes the frame easy to take appart and quick to assemble. 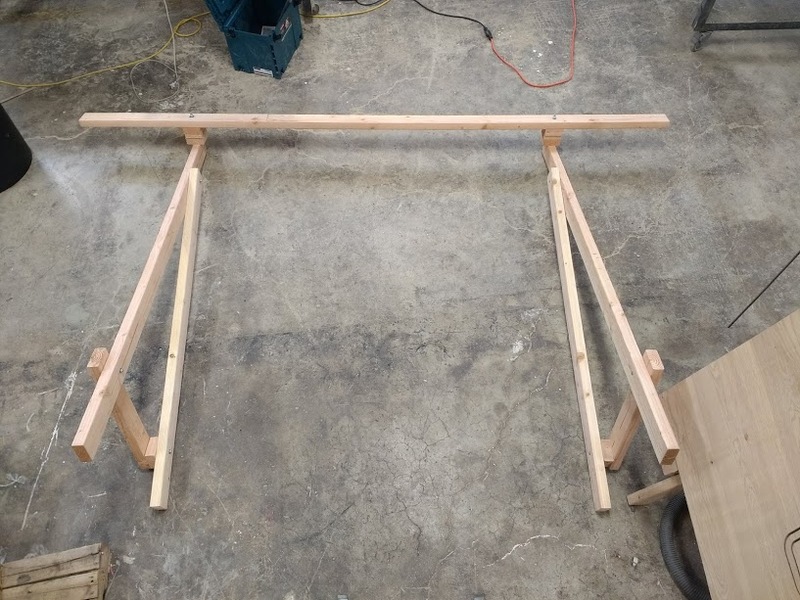 This frame is designed to go together in a few hours. It is designed to be very easy and quick to build, but requires that you have a socket set. 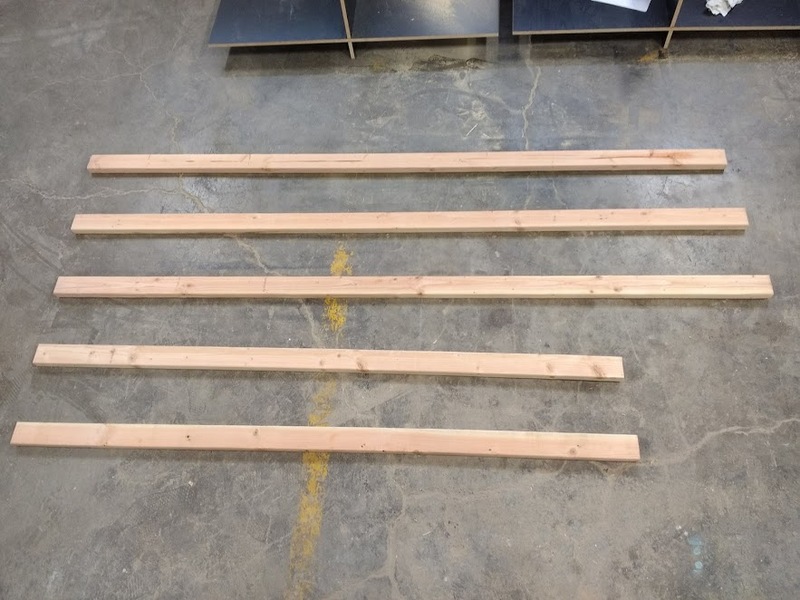 The required tools for this build are a screw driver, a tape measure, a saw which can cut both 2x4s and plywood, a drill, and either a socket set or a wrench set. 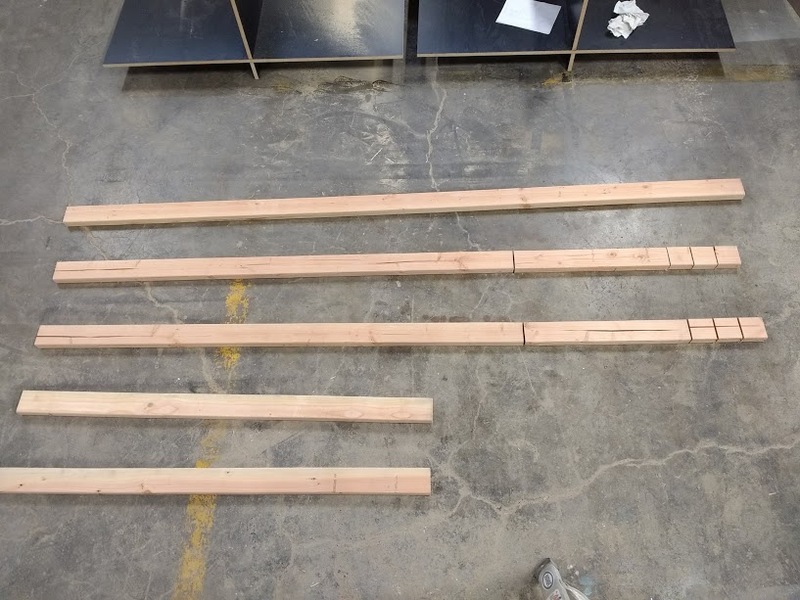 Cut your three 10" 2x4s and two 8" 2x4s as shown in the picture below. None of these cuts are of a critical length. Small errors in the lengths of any of these parts will not affect the accuracy of the machine. Drill holes for the bolts in the parts at the locations shown below. Feel free to use the next size up drill bit to make the bolts go through easier. 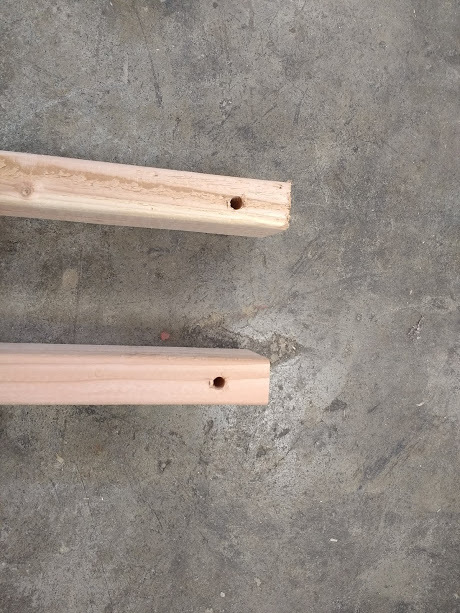 Note that all measurements are referenced to the ends of the parts and that these holes can be drilled free hand. They do not need to be perfect or drilled on a drill press. Drill holes for the bolts at the locations shown below. Feel free to use the next size up drill bit to make the bolts go through easier. Note that the hole through leg part A passes through the beam in the long direction, not the short direction. 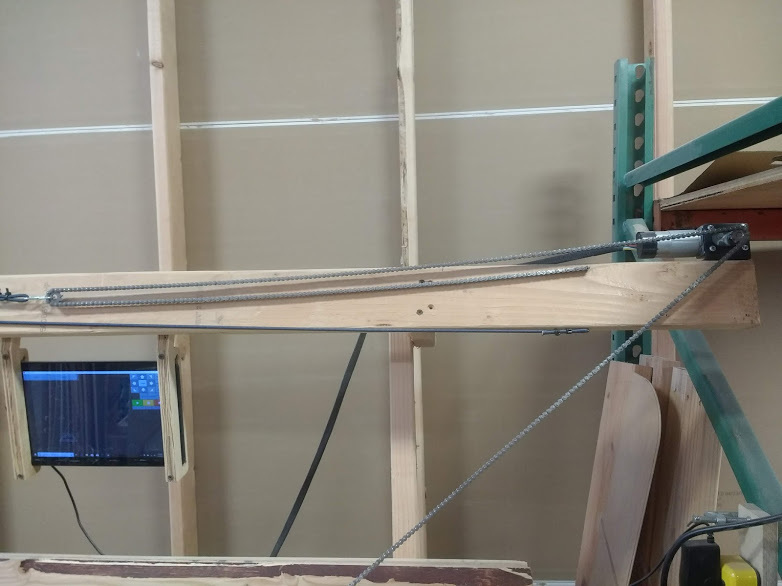 Drilling straight through the beam in the long direction can be tricky. 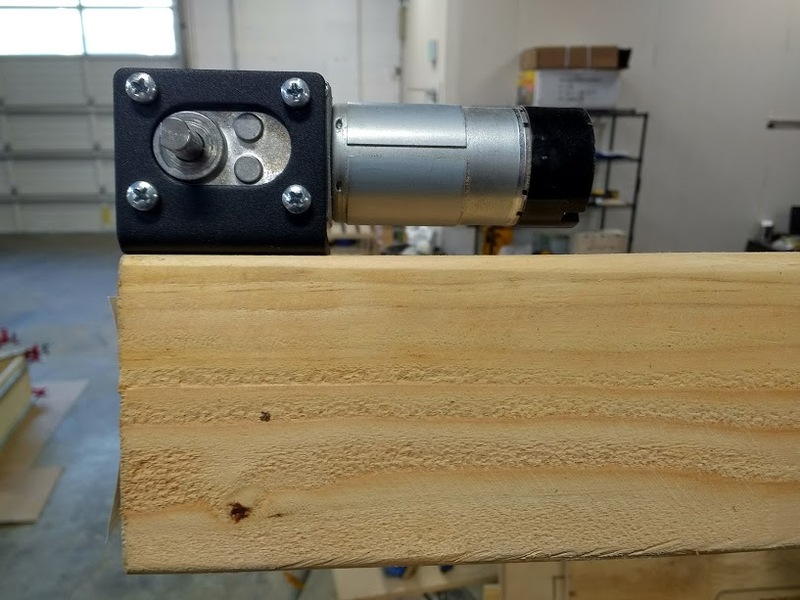 Consider using one of these techniques or a drill press if you are concerned you may have difficulty. 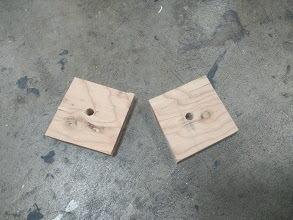 Cut two 3.5 inch plywood squares from one sheet of plywood and drill a 3/8ths inch or larger hole in the center. 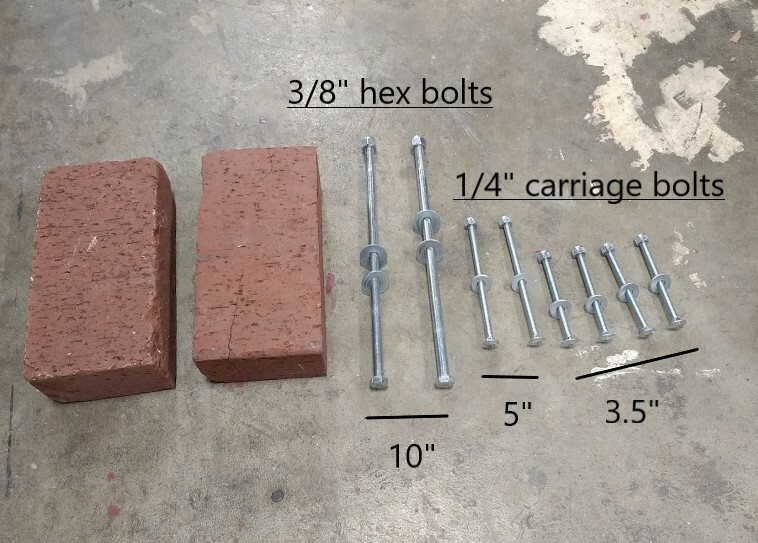 Assemble the legs using one leg piece each of leg piece A, B, and C, one spacer block with a 1/4 inch hole, on 5" bolt and two 3.5" bolts as shown below. Repeat this process for the other leg. Note that making them mirror images of each other rather than identical will give the final machine symmetry which could be aesthetically pleasing. 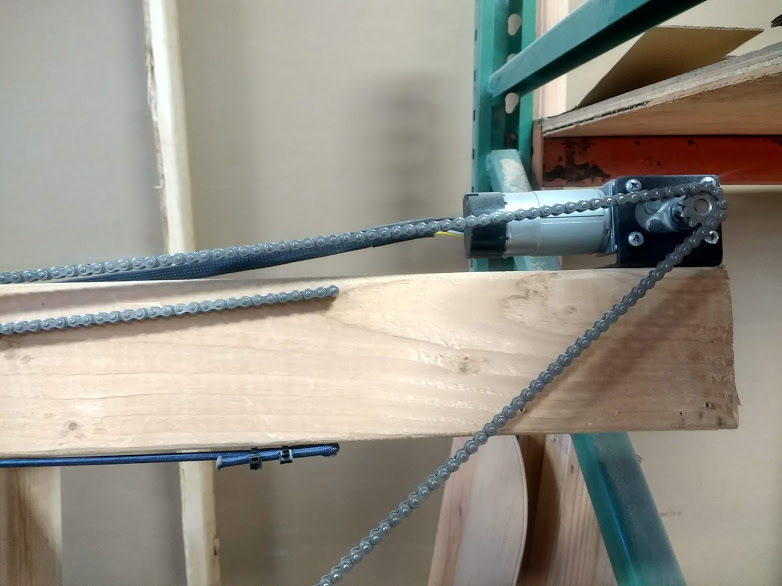 Using the two 10" bolts, attach the top beam to the frame with two 2x4 spacers and one 3/4 inch plywood spacer between the beam and the legs. Tighten the bolts well to ensure that there is no play in the connection. 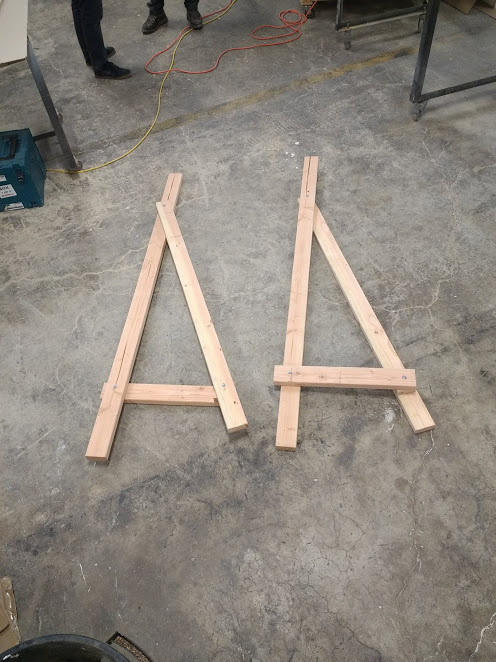 Stand up the legs and screw the backer plywood to the legs. 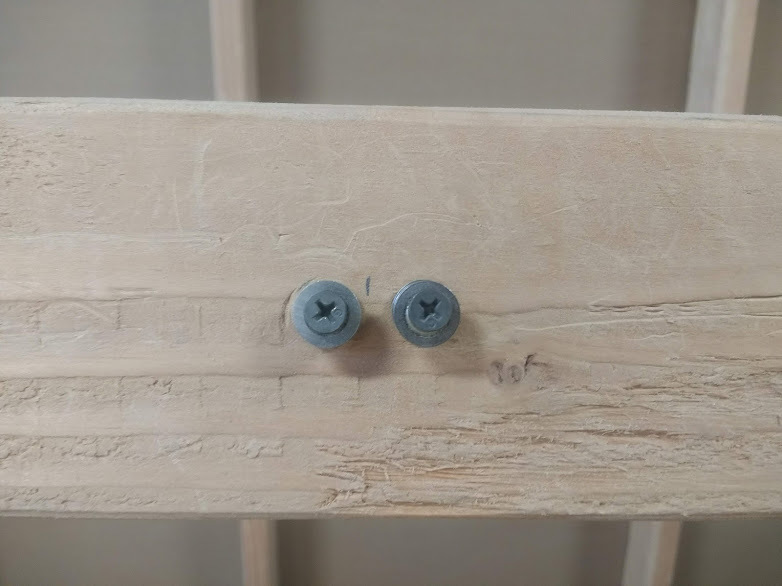 Use one screw in each corner, as many screws in the middle are not needed and you may run into them accidentally when routing. 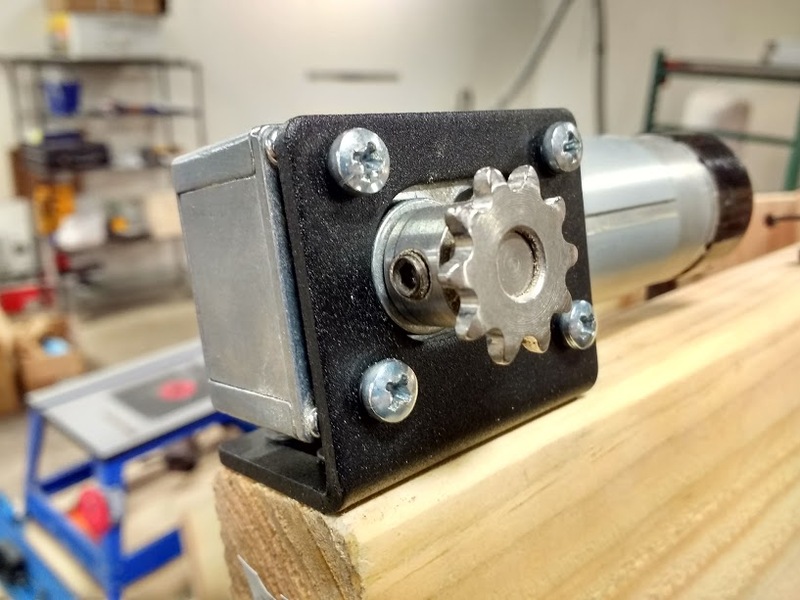 Screw the motor mounting brackets to the ends of the beam flush with the front edge using four of the short wood screws. Screw these down tightly - a lot of torque is applied to these when calibrating the motors later - you don't want them to move. 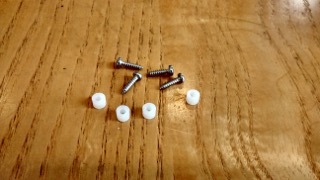 Attach the motors using the small screws and lock washers. 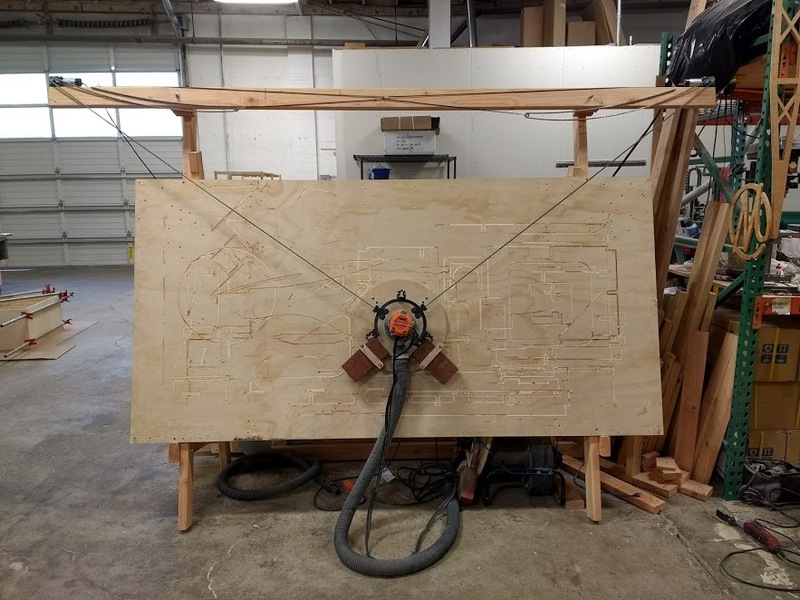 Attach the Arduino to the back of the plywood using the small screws and standoffs, then reconnect the electronics. Make sure to allow for the length of the cables for the motors. 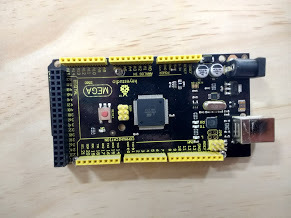 If you would like to reference them, the instructions for connecting the electronics are https://github.com/MaslowCNC/Electronics/wiki/Electronics-Setup. Attach the two sprockets using the included set screw and Allen wrench. Mark the middle of the top beam and install the two pulleys for the cable system just to either side of the center. 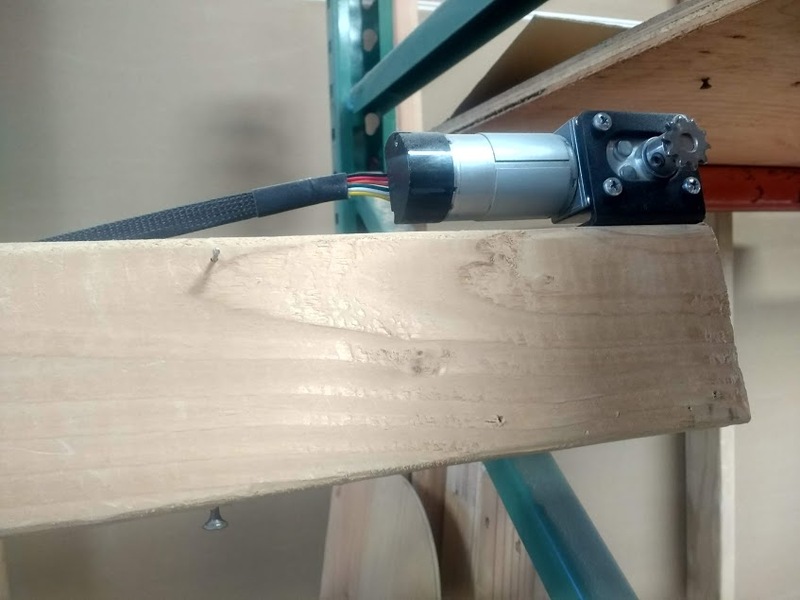 Place a screw in the top beam just to the inside of the motor and on the bottom of the top beam. Hammer in one of the small nails in the hardware bag leaving a little more than 1/4 inch protruding. The chain will attach to this nail. (If the chain won't fit over the nail, you might want to delay putting in the nails until the next step). 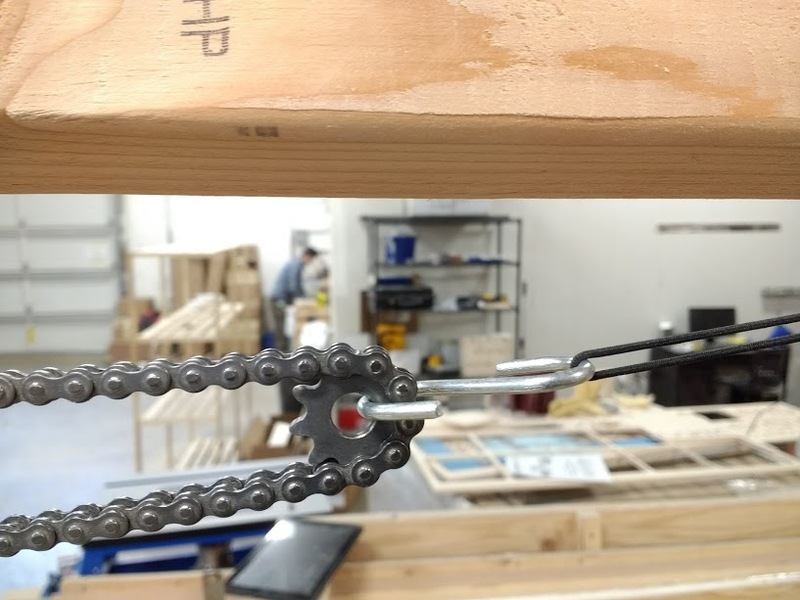 Take the chain and loop it over the sprocket leaving the outside end dangling. Hook the inside end of the chain on the small nail. 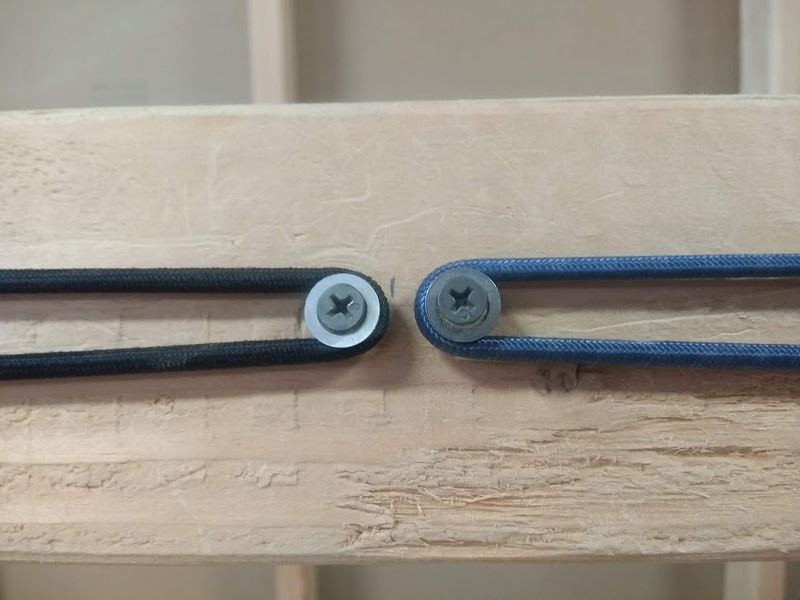 Take the stretchy cord and form a loop in each end using zip ties. Hook one end over the screw to the inside of the motor. Place the idler sprocket and S hook in the loop of the chain, then hook the other end of the streachy cord to the S hook. 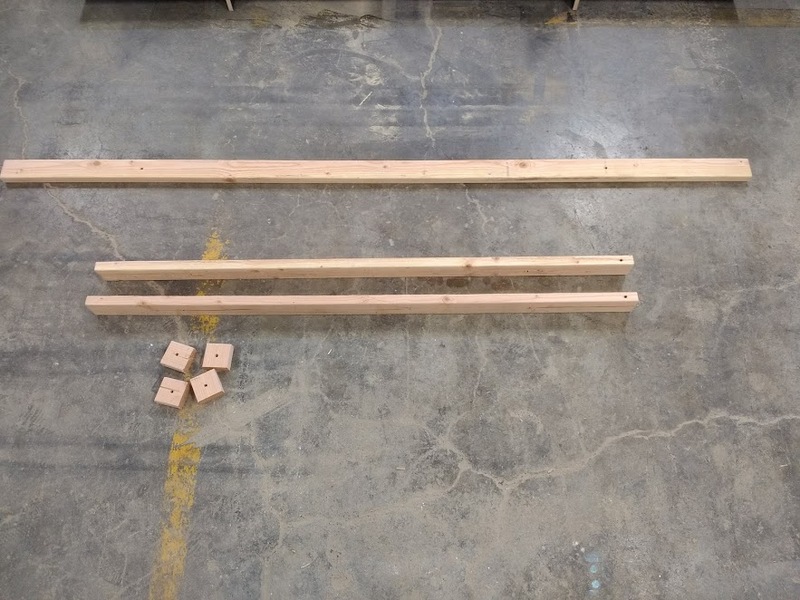 Now that we have completed building the frame, we need to use it to cut the sled. 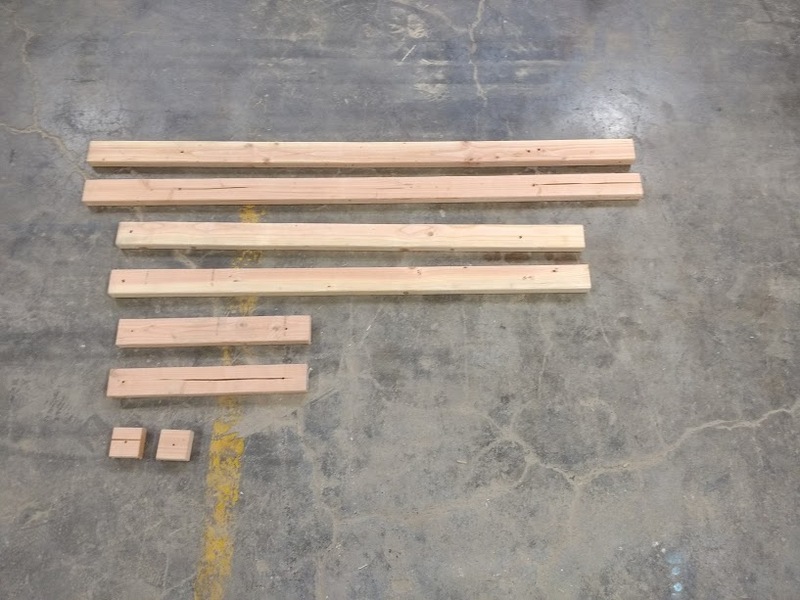 Instructions to build a temporary sled and use it to cut the final version can be found here. 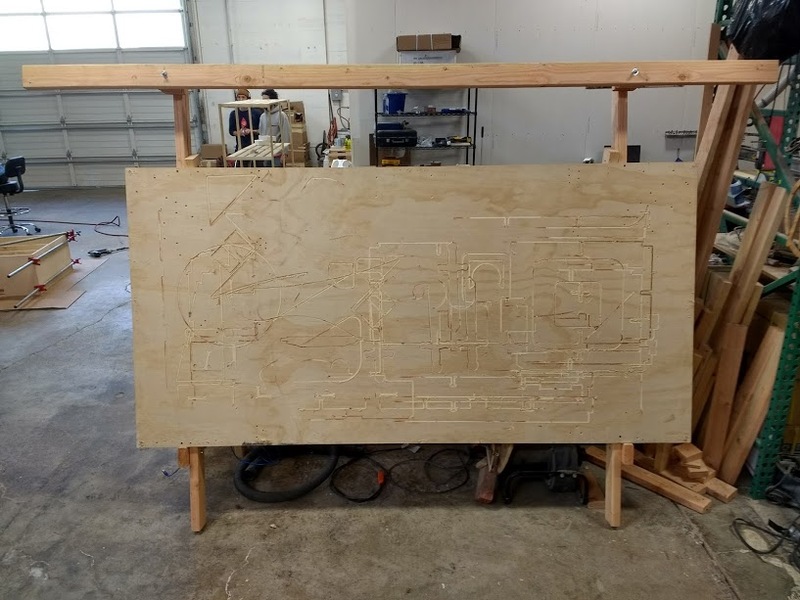 It would be much easier to put this together if all the holes were equally distant from each end of the board so that the parts were reversible.